Gatic, a global leader in engineered surface water drainage and access covers, has appointed Keith Lambourne MBE, MIEx to support its strong growth in exports. Following a record year, Gatic is expanding and investing in its teams to lay the foundation for further international growth and to boost the Alumasc Water Management Solutions (AWMS) brand. Keith boasts 40 years’ experience in construction exports and 50 years in the construction industry. His wealth of knowledge will help drive the business forward and strengthen Gatic’s leading position in international markets. Keith previously worked for global players such as Peter Savage and SKK Cyprus, and subsequently spending 26 years as Export Director for ACO International. In his new role, Keith will be responsible for identifying new export markets and promoting the benefits of AWMS and Gatic’s systems and solutions to specifiers and engineers around the world. Future Constructor & Architect is a specification platform for architects and building contractors, which focuses on top-end domestic and commercial developments. 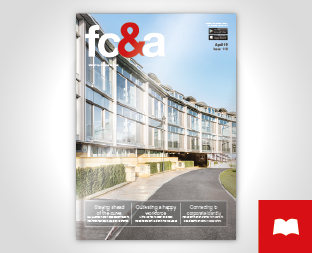 As well as timely industry comment and legislation updates, the magazine covers recent projects and reviews the latest sustainable building products on the market. Subscribe here. Copyright © 2018 Mixed Media Information Ltd. All Rights Reserved. Future Constructor & Architect is a specification platform for architects and building contractors, which focuses on top-end domestic and commercial developments. As well as timely industry comment and legislation updates, the magazine covers recent projects and reviews the latest sustainable building products on the market. In addition to the wealth of unbiased editorial content, the magazine and its associated digital platforms present a variety of opportunities for companies to market their products and services. To find out more, request our 2017 Media Information booklet today.